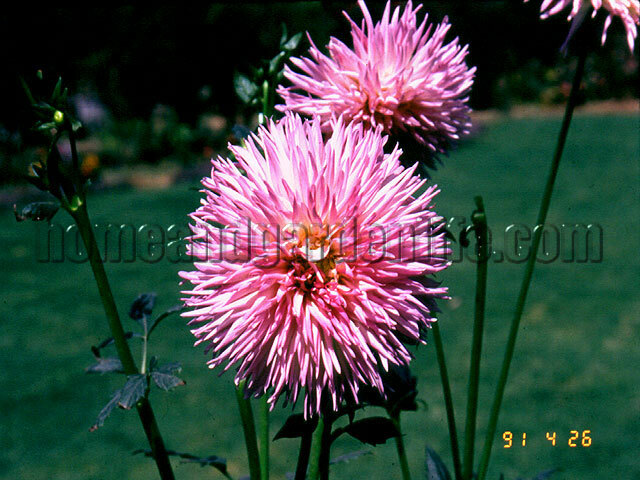 Description : Dahlias bring life and beauty back to your garden in late summer and into the fall months. The diversity of Dahlias allow you to use them in many different aspects of your garden design, from low growing border plants to stately background plantings which may reach six feet in height. Dahlias make excellent cut flowers, which typically last about a week in the house. These tender tubers bloom best in full sun and will tolerate most soil types, but prefer a sandy, well draining soil with a pH of 6.2- 6.5. If you have a heavy clay soil, try adding sand or peat moss to lighten it.